The debut of a wonderful new series, The Scoop is #1 New York Times bestselling author Fern Michaels's introduction to The Godmothers, four unforgettable women who are about to get a whole new lease on life. 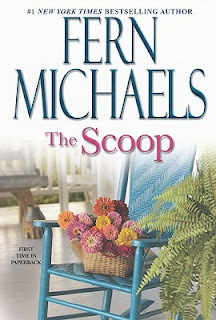 . .
Teresa "Toots" Amelia Loudenberry has crammed a great deal of living--not to mention eight much-loved husbands--into her varied and rewarding life. Once again single, Toots is ready to taste life again, and fate has just handed her the perfect opportunity. . .